There, in the center of the structure, were two dirty mattresses. Sitting on top were torn towels, ripped clothing, shoes with no laces, an empty water jug and – most heartbreakingly – a pair of children’s stuffed animals. They’re all part of an exhibit that the fourth-year student and fellow members of the student organization Towards a Better Latin America have been planning since the beginning of the semester. “We wanted to recreate the situation because when you see something on paper, it can move you, but when you actually see it physically …” said Corredor, her voice trailing off. 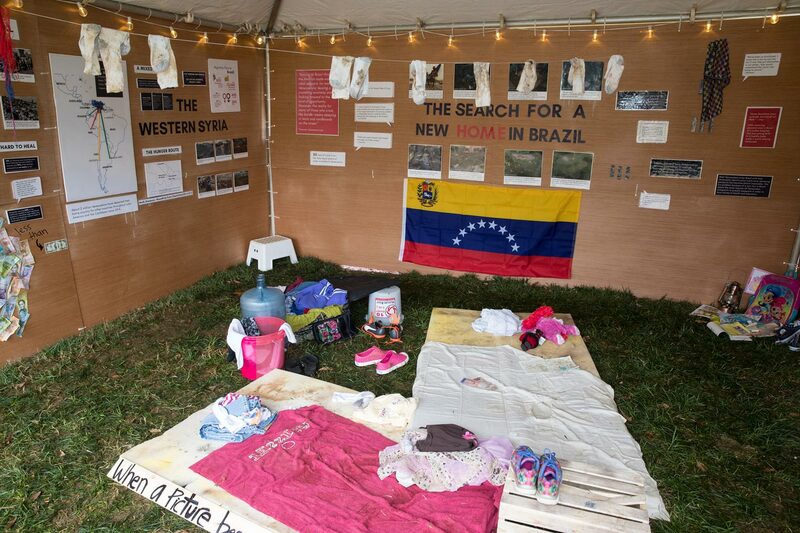 While the exhibit is displayed inside a tent, Corredor said a tent would actually be considered a luxury for many Venezuelan migrants, who often have several family members residing in cramped, uncovered spaces in the streets. “In many cases, these are nurses, doctors, engineers who are living like this,” the group’s vice president, Maria Elena Granera, said. “They had to leave everything in Venezuela because they couldn’t find food or medicine for their families. So even though they are living like this, they say it’s better than Venezuela. While Corredor is personally connected to the crisis, she said it was only after a number of the organization’s Brazilian members told them how dire the situation truly is that she and Granera decided to move forward with the endeavor. 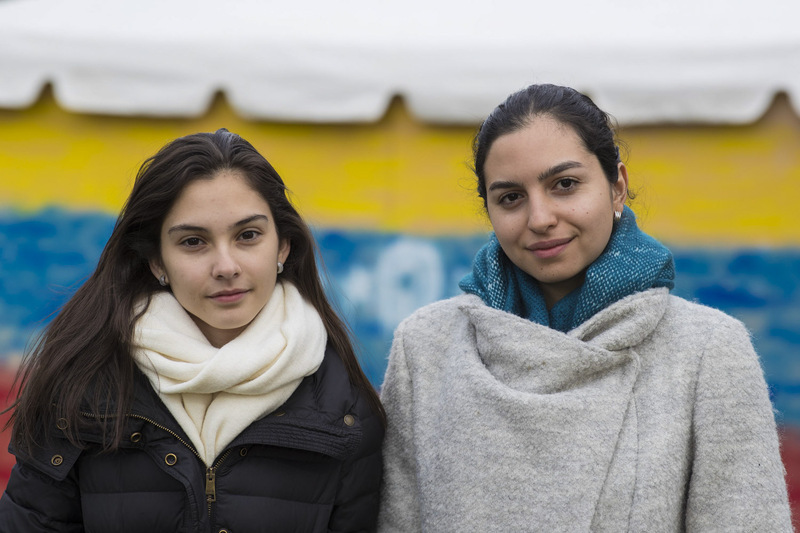 “They say that it is really horrible, that the people there aren’t welcoming Venezuelans and there wasn’t any funding to help these people – so we saw that as a great opportunity to help,” said Granera, who is from Nicaraqua. Working with the Office of the United Nations High Commissioner for Refugees – which is helping thousands of Venezuelans currently living in the streets of Brazil – Towards a Better Latin America has established a $10,000 fundraising goal. The funds will go toward the purchase of shelter homes designed by the Ikea Foundation for Better Shelter, a Sweden-based humanitarian innovation project and social enterprise. When Corredor discussed the teamwork that was needed for the tent to be erected, her eyes again became watery. To make a donation, visit the GoFundMe page, send it via Venmo to @TBLA-UVA or stop by the exhibit.